Pattern engineering is the technique of working with a 2D medium (i.e. paper or fabric) to develop blocks (using either body or garment measurements) which will assist in making garments to drape a 3D body to achieve the desired fit with optimum utilization of resources. A pattern is a map! Can you imagine a bad map that will require you to ask for clarifications on every turn? You may never get to your destination or if you finally do get there, it may be too late. And like landmarks for turns and stops on maps, an engineered pattern should have the correct notches, drill holes for placements of pockets, and engineered seams with proper corners etc. that reflect instructions graders, marker makers, spreaders, cutters and sewers are supposed to follow. The shaping in human body is primarily in two main areas – the side of the body and the depth of the body. The shape on the side of the body is addressed by shaping the side seam of pattern to bring the garment closer to the body on the side. The depth of the body in front is around bust and waist and in back is around shoulder and small of back. This shaping is more pronounced in case of women body and has to be addressed by folding in the surplus fabric to shape the body contours. This folded fabric is called darts. 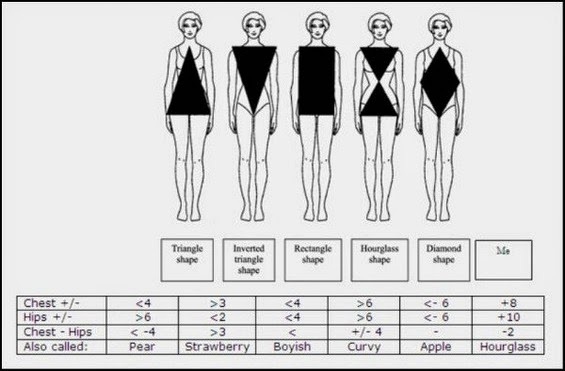 The desired fit of a garment is defined by the function for which it is intended. The required fit can be obtained by developing a suitable basic block generated from body dimensions. Basic block (for garments made from woven fabric) could be loose fitted, semi fitted or fitted. Loose fitting blocks are much bigger than the body girth measurements, the extra spacing between the wearer and the clothing being the ease. Bigger the ease, looser is the garment. Essentially, loose fitting garment block is one where the garment is more than 5” bigger than the body hip and chest girth measurements. It has a boxy shape, i.e. dimensions at chest, waist and hip are equal, and therefore falls away from the body. Such blocks are used in the production of shirts windcheater and rain coat. Semis fitted blocks are shaped closer to the body on the side. The blocks have chest and hip girth measurement 2- 4” bigger than the body measurement while waist is 6-8” bigger than the actual waist measurement. 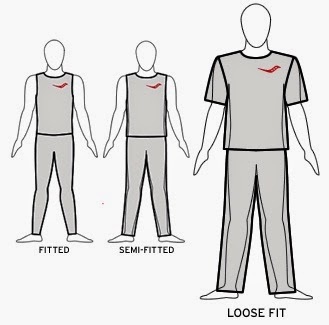 Fitted blocks are required when garment is to be made fitted around the body and fullness of the garment around the body is required to be reduced such as uniforms, swimsuits or action wear, etc. In such garments, the shape of the body at the front as well as the sides needs to be addressed in the block. The blocks therefore are shaped in the circumference as well as the depth. When using woven fabric in such applications, typically the blocks have chest, waist and hip girth measurement 2-4” bigger than the body measurement. 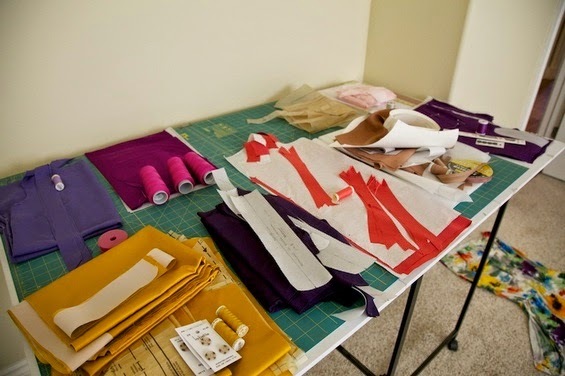 Fabric is a key element in fulfilling the desired function for which the garment is being designed. Each fabric type has its own unique properties and characteristics; inputs regarding these are required to develop the pattern in order to achieve the desired comfort, fit and functionality. Properties of the material selected determine the dimensions of the final block as the behavior and characteristics of the fabrics. For example, while working with knitted fabrics, a key fabric characteristic is the “stretch” which can vary from 18% to 100% or more. Also, the direction of stretch is a critical element here, wherein the fabric may have one way (cross-wise), 2 way (both length and cross-wise) or 4 way stretch (all directions). Functional garments, where such fabrics are used are action wear, exercise wear, sportswear and swimwear. The desired functionality of the garment and the constraints imposed by function and aesthetics, guide and define the selection of openings and closures, trims, seam types and seam finishes for a garment. Such inputs are required at the time of pattern making in order to make provisions for the same. Comfort, coverage and protection are the key requirements from any garment. 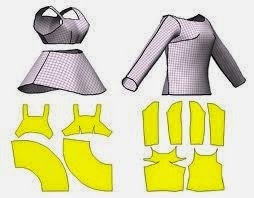 For functional garments, inputs regarding the specific intended end use are required to develop the patterns. In fact, the entire concept of engineering of standard pattern designs revolves around achieving this specific end usage and governs the pattern engineering techniques employed.